The IeMRC was established in 2004 with an initial £5.5 million suuport from the Engineering and Physical Sciences Research Council. In 2010 the Centre secured a further £10 million for a further 5 years to commission new research projects and continue to deliver its vision. The vision of the IeMRC was to be the UK's internationally recognised provider of world-class electronics manufacturing research. It focussed on sustaining and growing high value manufacturing in the UK by delivering innovative and exploitable new technologies through its highly skilled people and by providing strategic value to the electronics industry. The IeMRC was one of the Manufacturing Research Centres set up and supported by the Engineering and Physical Sciences Research Council (EPSRC), focusing on the electronics manufacturing sector. With more than £16 million funding over 10 years, supporting over 45 individual projects, the IeMRC was distributed among a number of universities and had a ‘hub’ at Loughborough, UK. Other UK universities involved in the operation of the Centre include Bath, Brunel, Greenwich, Lancaster, Nottingham and Heriot Watt. 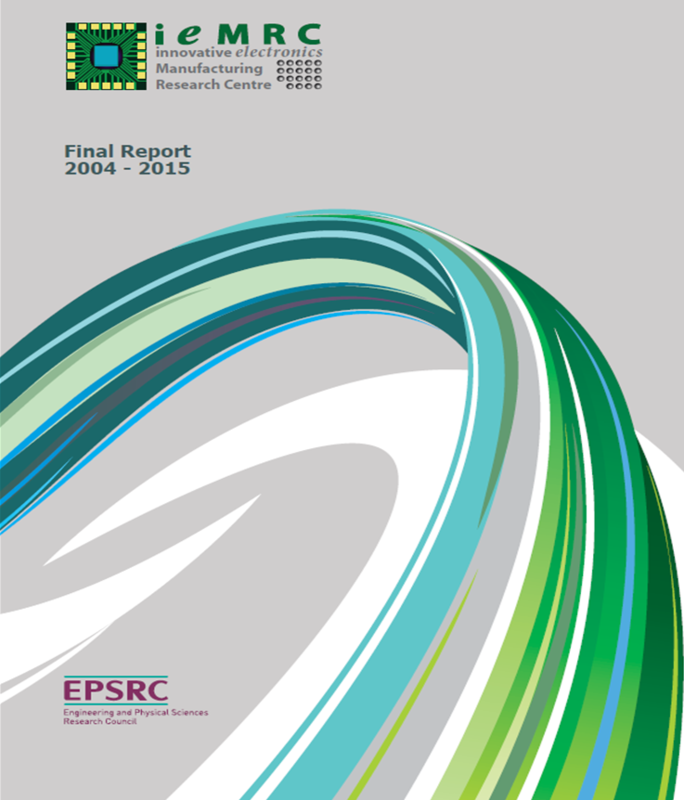 Compared with other centres established with EPSRC support, the IeMRC differed in being a distributed operation rather than having a fixed location for its research activities. Universities across the UK were able to bid for funds from the Centre, so encouraging open collaboration between groups. The advantage of a distributed programme, compared with a single centre, was that it allowed the most appropriate people to do the work for an industry that has now become very diverse. Key elements of the IeMRC were the high level of industrial involvement (over 80 seperate businesses) and tthe strong industrial steering group that decided priorities for funding. As with the other manufacturing research centres, the contribution from industry in resources and cash surpassed the inital EPSRC funds.